If you’ve ever wanted to improve your ability to learn and memorize legal terminology and case studies by 100% … 200% … 300% (or more) using simple skills you can learn in under an hour (or less), then this may be the most important book you will ever read. You’re wasting time listening to the standard advice about learning the law. You can’t continue with “random acts of learning” as you study from you legal dictionary and other legal books – at least not for long. The truth is that learning the law can be incredibly simple. You just need to know how. 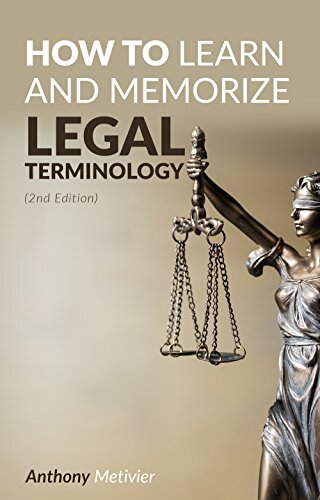 In How To Learn and Memorize Legal Terminology … Using A Memory Palace, Anthony Metivier shows you everything you need to develop the right skills, the right mindset and the right dedicated memorization strategy for memorizing any legal term. Plus you’ll learn how to find the right tempo for studying the law to match your background and personal interests. The key to learning and memorizing legal terminology is to follow a model. You won’t succeed without one. And your best bet is to supplement that math learning model with strong memory skills. Want To Eliminate The Pain and Frustration of Studying Law? 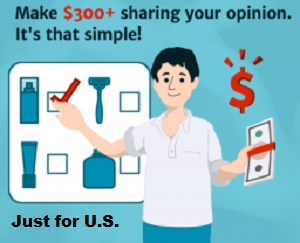 … If There Is A Quick Fix – This Is It! * Why memory techniques for learning the law are like a bicycle everyone can ride (with some minor personal adjustments). * The real reason why no one should ever be squeamish about using memory techniques for studying legal books and the law. * Sample examples and illustrations that will show you exactly how and why these memory techniques and strategies work. * Unique approaches that will have you literally “tuning in” on legal concepts so that you can memorize and recall them with ease. * How to visualize any legal term so that it literally pops out in your mind whenever you look for it. * How to use actors, other public figures and famous pieces of artwork to help you memorize legal terms, concepts and even precedents. * Simple strategies for practicing recall so that you are relaxed during exams and can easily recall everything you’ve studied no matter how difficult. As you probably know, it’s getting harder and harder to find the time for learning anything, especially the law. That’s why you need a proven plan for increasing your legal knowledge. The good news is it’s not hard to improve your approach to learning the law. This second edition of How To Learn And Memorize Legal Terminology … Using A Memory Palace gives you amazing tools designed to speed up the process and get you solid results. Understand how the method taught in this book works and you’ll make advanced strides in how you learn legal terms quickly and in ways that are effective, elegant and fun. Download now and begin improving proving how you learn the law TODAY!